adobe acrobat 8 – Jane Talks Tech! At home, I possess an ADF-enabled printer (ADF stands for “automated document feeder“), the HP OfficeJet J6480 which lets me scan documents without resorting to manually feeding all pages of the document by hand. 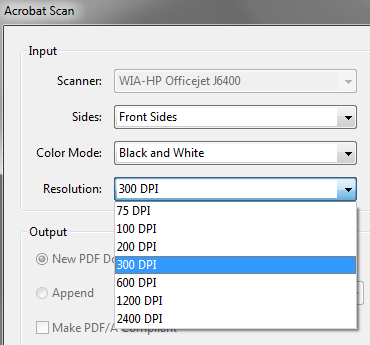 Using HP’s software, scanning multipage documents is painless. However, if you still own a printer without this ADF-feature like a certain HP PSC 750 printer, I feel slightly sorry for you (unless you have a dedicated workhorse scanner). This ancient puppy has a flatbed which means I can’t leave the computer until I have manually scanned all the pages into the computer. The purpose of this post is to note what I have done to help ease the frustration of keeping multipage documents in 1 scanned (.pdf) file and walk you through the steps & possible pitfalls. 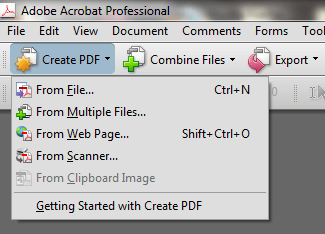 Step One: Fire Up Adobe Acrobat Pro (version 8): Click on the “Create PDF” button as shown in the image below. 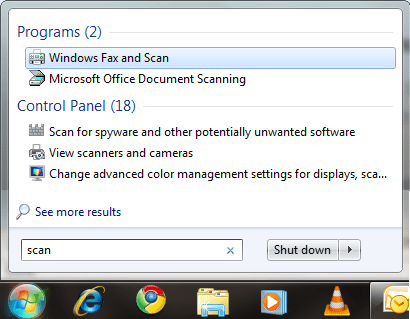 The option you want is “from Scanner” so click on that. Step Two: Select Your Scanning Device Depending on your printer, all you may need to do is: “Select your scanning device” as shown in this image below. If you haven’t installed your printer yet, follow the instructions on your users’ manual to get that important step squared away. Choosing how the documents get scanned i.e. 1-side or both sides. Color mode i.e. black/white, grayscale or in color. Scanning resolution. A common DPI for print documents is 300DPI. Any higher makes the scanning process longer and in my case, makes the printer more likely to wig out and fail halfway. 600DPI is as high as I’ve dared to go. In truth, there are WAY more options than you need to concern yourself with if you want a simple foolproof method of scanning a paper document to a portable document format (PDF, get it? :P). Step Four: Start Scanning: Once you have completed Step Three, press the “Scan” button and you will be prompted to write in a name for the .pdf file you are about to create. 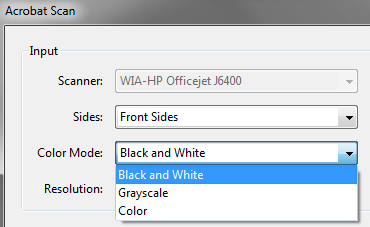 There’s something about HP printers …: HP printers are ‘well’ supported on Windows 7 … if you agree with HP’s need for you to install their suite of products on your computer just to get the printing and scanning functions working properly. Not to be misleading, my (discontinued) HP OfficeJet J6480 will work even when treated as a plug-and-play device; The operating system (Windows 7) found drivers for it when I connected via USB, etc, but I since found that accessing the more advanced features of my printer required fiddling so I caved in and downloaded the 115.77 megabyte basic printer driver installation program from HP’s website. The full featured driver for my printer weighs in at 246.43 megabytes. 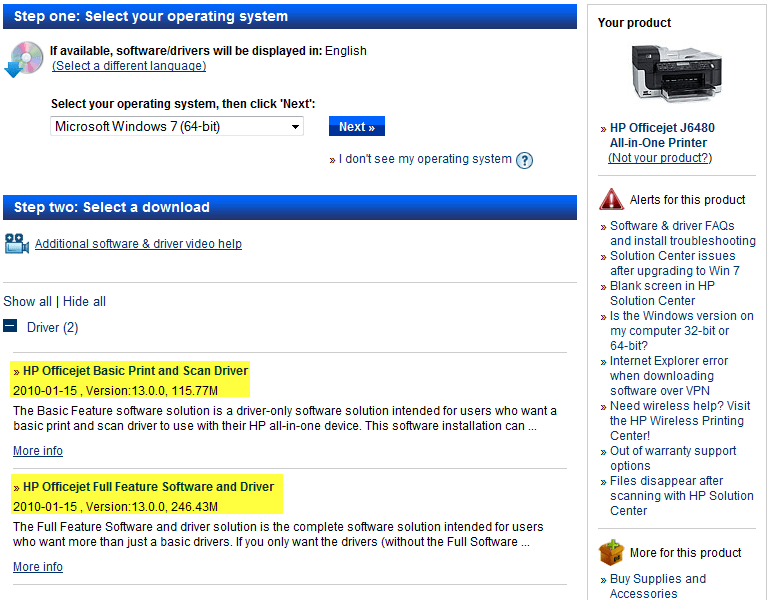 All of this to say: you might need to download either the basic printer driver from HP’s website or if you don’t care about installing yet another piece of bloatware, go ahead and download the full featured driver. In fact, if you’re using HP products, please be intimately familiar with this website: http://hp.com/go/support and if possible, have a fridge sticker with your HP product’s serial or product number. On this website, you will find software/firmware updates that even the HP Update or HP Support Assistant won’t pick up on. Printer Blues:With the HP PSC 750, I ran into a problem where the printer/scanner would get hung up and flash a message about a “scanner failure”. What happened was either the printer or Adobe Acrobat 8 would get stuck after I completed Step Four even so using the built-in Windows Fax and Scan option worked so I knew the printer/scanner *was* working. I was able to resolve the issue by altering the scanner options up at Step One. If you found this too long to read, here’s your takeaway: Invest in a printer that had an automated document feeder with double-sided printing capability. With the right software, and yes, this might mean downloading your manufacturer’s bloatware, you may never need to manually change pages for scanning again.